Naomi Bar-Yam, PhD, ACSW, has been working in maternal and child health for 30 years as an educator, researcher, advocate, and writer. She is the immediate past president of the Human Milk Banking Association of North America (HMBANA) and the founding director of Mothers’ Milk Bank Northeast, which provides safe donor milk to hospitals and families throughout the northeastern US. Her early experience as a social worker and perinatal educator in diverse populations, both in the US and overseas, inspired her special interest in the ethics of access to perinatal health care. That work, and her experience as the mother of two NICU babies, motivated her support for breastfeeding and milk banking. She is now a recognized expert on social and institutional policies that support breastfeeding. As Executive Director of a large milk bank, she is also thoroughly versed in the technical, procedural, and ethical aspects of milk banking. Naomi Bar-Yam, PhD, ACSW, has been working in maternal and child health for 30 years as an educator, researcher, advocate, and writer. She is the immediate past president of the Human Milk Banking Association of North America (HMBANA) and the founding director of Mothers’ Milk Bank Northeast, which provides safe donor milk to hospitals and families throughout the northeastern US. An expert on access to perinatal health care and policies that support breastfeeding, she has been a consultant to the Centers for Disease Control (on a panel that created “The CDC Guide to Breastfeeding Interventions”), to the United States Breastfeeding Committee (developing an issue paper addressed to CEOs and legislators on breastfeeding and the workplace), and to the March of Dimes (developing educational material for women and families who are medically and socially vulnerable to high-risk pregnancy). She also developed a curriculum for hospital personnel about combining breastfeeding with their work. She reviews articles submitted to the Journal of Human Lactation, Breastfeeding Medicine, and other publications related to breastfeeding, milk banking, and access to perinatal child care. As Executive Director of Mothers’ Milk Bank Northeast, she is thoroughly versed in the technical, procedural, and ethical aspects of milk banking. She often speaks at professional conferences, hospital staff trainings, and grand rounds about milk banking and breastfeeding policies. Naomi Bar-Yam, PhD, ACSW, has been working in maternal and child health for 30 years as an educator, researcher, advocate, and writer. She is the immediate past president of the Human Milk Banking Association of North America and is the founding director of Mothers’ Milk Bank Northeast, which provides safe donor milk to hospitals and families throughout the northeastern US. Her early career as a social worker and perinatal educator in diverse populations in the U.S. and overseas, as well as her experience as the mother of two NICU babies, inspired her support for breastfeeding and her special interest in the ethics of access to perinatal health care. 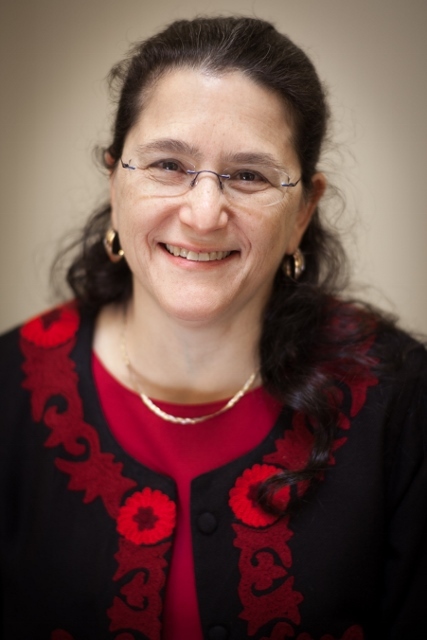 As a recognized expert on policies that support breastfeeding, she has advised the CDC (on a panel that created “The CDC Guide to Breastfeeding Interventions”), and as a champion of perinatal health care, she advised the March of Dimes (developing educational material for women and families who are medically and socially vulnerable to high-risk pregnancy). She reviews articles submitted to the Journal of Human Lactation, Breastfeeding Medicine, and other publications related to breastfeeding, milk banking, and access to perinatal child care. As Executive Director of Mothers’ Milk Bank Northeast, she is thoroughly versed in the technical, procedural, and ethical aspects of milk banking. Successful infant feeding is crucial to the survival of babies and the human race. Throughout history and across the world, societies have had to address alternatives to maternal breastfeeding. We will present an overview of the history of infant feeding, including the forces involved in the decline of breastfeeding and wet nursing and the rise of “scientific” infant feeding, commercial infant formulas and milk banking. We will also define and discuss milk kinship practiced in Islam, and throughout the Far East and Middle East. We will cover as well the forces and organizations involved in the rise of breastfeeding, milk sharing and milk banking over the last 2-3 decades, and the social, economic and commercial forces impacting infant feeding today. We will conclude with a discussion of how history can help us understand and influence future trends. This workshop covers the history of milk sharing, wet nursing, milk banking, and the medicalization of birth and infant feeding. We will also look at human milk banking today – the differences between hospital-based and independent milk banks, uses of banked milk, and an overview of the process of screening donors and processing milk. Myths abound about donating and receiving donor milk. This talk gives the straight scoop on why donor milk is so important, and explains the difference between getting or sharing milk online and using a milk bank to donate or receive breast milk. Human milk has been a commodity of exchange for millennia. This talk explores contemporary ethical issues in human milk exchange, including donation vs. payment, safety for recipients, protection for suppliers, allocation of this scarce resource, and making the resource less scarce. This talk uses research literature and hospital policies and programs to explore ways for families of babies in the NICU to be meaningful and active members of the NICU care team. We will look at a global snapshot of prematurity; define what a team is and who is on the NICU care team; and discuss the short- and long-term goals of the NICU care team, as well as many tools and strategies that team members and the team as a whole have at their disposal to reach those goals. Can be adapted for US or global audiences. This workshop covers the practical aspects of using banked human milk in NICUs and other hospital units. It covers current research on the benefits and appropriate uses of human milk and describes the ordering, handling, dispensing, and charting use of the milk. This workshop discusses medical evidence, financial incentives, and social forces affecting breastfeeding and breast milk feeding of newborns in hospital and at home. Topics include use of and access to human milk as standard of care in hospital NICUs and nurseries, informal milk sharing, and donor human milk banking. This talk addresses two ethical issues as they relate to breastfeeding support and milk banking: informed consent and access to care that includes breast milk feeding. Topics include a brief history, definitions of these basic medical ethical concepts, and their relationship to breastfeeding. This talk addresses the practical aspects of establishing a donor milk program in a NICU or nursery. It includes a brief history of milk banking, the medical evidence supporting use of donor milk, cost, and steps toward establishing a hospital’s donor milk program. This talk addresses implementation of a donor milk program in the NICU or nursery, including safety of donor milk, talking to parents, and special concerns for Level 1 and 2 nurseries. Building Breastfeeding Bridges is a new, fun game to help your breastfeeding organization or coalition identify its most pressing challenges and to develop effective strategies to meet those challenges, while engaging members and other stakeholders. The game expands and personalizes as you play it. Having a child in the Neonatal Intensive Care Unit (NICU) is difficult. It is important for every family member to be included. 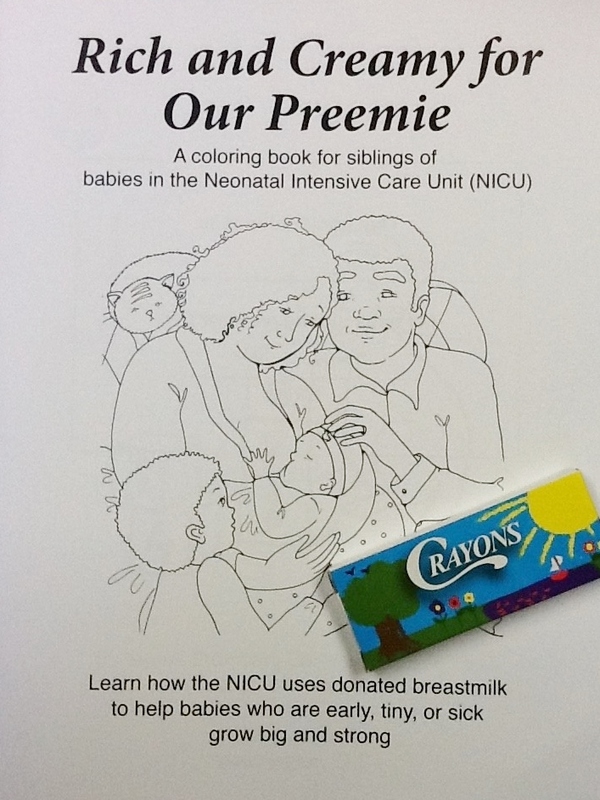 As children and their families read and color this book, they will learn how the NICU, other moms, and local milk banks support breastfeeding and work to make the newest family member grow healthy and strong.